The paper briefly runs through the questions of compiling and contents of morphotectonic map and morphotectonic zoning scheme of Northeast Eurasia. The author's approach is based on mapping the difference between highest and lowest altitudes within the cells 20 x 20 km. The history of Russian landscape painting is considered. A comparison of its main schools and those of European art was made; the common and peculiar features of picturing the relief were described. The spirituality of landscape is one of the characteristics of Russian landscape painting. Valley's order is the synthetic notion that integrates process, matter and time of relief formation. Making of landforms has three stage: juvenile (bedded dynamic phase), mature (perstrative phase), senile (constrative phase). The full complex of evolution stages corresponds to the contents of the notion "valley's order". All this may be named as "law of Davis - Lamakin". The notion of valley's order may serve as the measure of age of relief. The germination of domestic school of geologically set geomorphological mapping has rather dramatic history. Rapid progress of geomorphology in this country is connected with the soviet period of economic development. During 1950-s the peculiar approach to geomorphological mapping arose owing exclusively to middle-scale geologic mapping. This approach may be effective in the solving of geological problems properly, but it hasn't won the wide acceptance. Departmental frictions and excessive secrecy of maps were accessory reasons for that posture, while the main reason was human factor. In the result the geomorphological investigations have had their further progress within the frame of geography. Geology was actually abridged of one of efficient methods. Today is the time to redeem this skew and to return geomorphological methods into geology. ЧТО ЖЕ ЛУЧШЕ - КАВКАЗ ИЛИ АЛЬПЫ? Fortes and drawbacks of quantitative assessment of relief beauty of the Alps and the Caucasus made by M.P. Zhidkov and E.A. 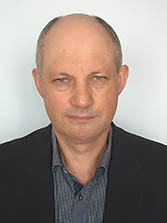 Likhacheva (Geomorphology, 2002 № 3) are considered. The author suggests using the fractal characteristics and "the law of harmony" by M. Marutaev for such evaluations. Relief of mountain areas has very complicated pattern due to interaction between active tectonics and wide range of exogenous processes. Large scale geomorphological mapping based on aerial pictures and satellite images is the most effective and cheap way to determine the sequence and conditions of landforms rise in these regions. The author considers operational principles of analytical geomorphological mapping and methodical approaches that had been developed in the process of some Mountain Altai regions mapping. They include the use of boundaries of new type (which are not similar to slopes' bend) and new designation for objects that unite characteristics of different genetic types. Typical paleoseismic dislocations have been detected by field observations in the Kola Peninsula. The map of ancient earthquake epicenters was compiled on the basis of geological data and aerial photograph interpretation. The epicenters mainly concentrate in the west and in the center of the Kola Peninsula in the area, which has been occupied by active ice during the Older and Younger Dryas or near the distal side of the Older Dryas marginal ridges. The increase of seismotectonic activity took place after deglaciation of the territory owing mainly to crustal deformation caused by glacioisostatic uplift, which is going on until now. Winter upwind slopes of the river terraces were subjected to deflation and served as the source of the sand accumulation on the surface of the terrace. The sand grains were weakened due to frost weathering which took place there; they were crushed then in the intensive wind stream over the slope and disintegrated to loess particles, which were accumulated beyond the sand massive. The process has cyclic character and needed annual flood undercutting that forbade the overgrowing of the slope. On the long-term scale this process represented the geomorphological regime of slope denudation under the wind action. The description of the morphology of catchment funnels and their distribution within the Sikhote-Alin and Chernogorie is given. These landforms are considered as independent elements of geomorphological zoning in the upper parts of any catchment basin. The main features of quaternary deposits (lithocomplexes) correlated to catchment funnels are considered. Their formation proved to be durable and effected by denudation intensity changes caused by tectonic and climate. The characteristics were determined, which make it possible to distinguish clacial circus from catchment funnels. History of gully network formation in the Ramenka river basin is closely connected with the history of agricultural land development of Moscow suburbs, with the housing and industrial building activity, road constructing, and city planning in the recent time. The author retraced generation, growth and degradation of gullies by comparing old and new maps and providing special field-works. The gully systems are still active and new gullies are rising nowadays, even in the condition of complete urban redevelopment. It should be taken into account while planning to transform the Ramenka valley into recreation area and natural monument. The year 2003 is the centenary of outstanding geomorphologist and geologist Vassily Vassil'evich Lamakin. Doctrine of dynamic phase of river valley (bedded, perstrative and constrative) and corresponding facies of alluvium, grounded by V.V. Lamakin constitutes the classical theory of Russian geomorphology. It is being under development until nowadays and has great practical importance. V.V. Lamakin made a great contribution to the theory of neotectonics. He was the prominent researcher of the Baikal Lake and put forward an interesting conception of its origin. As a salient scholar he made his own peculiar and important contribution into natural science.